Many years ago, her beauty struck you like a lightning bolt. The moment was so high voltage that, to this day, it still powers your passion. Never has one man been so lucky to get hit by lightning. 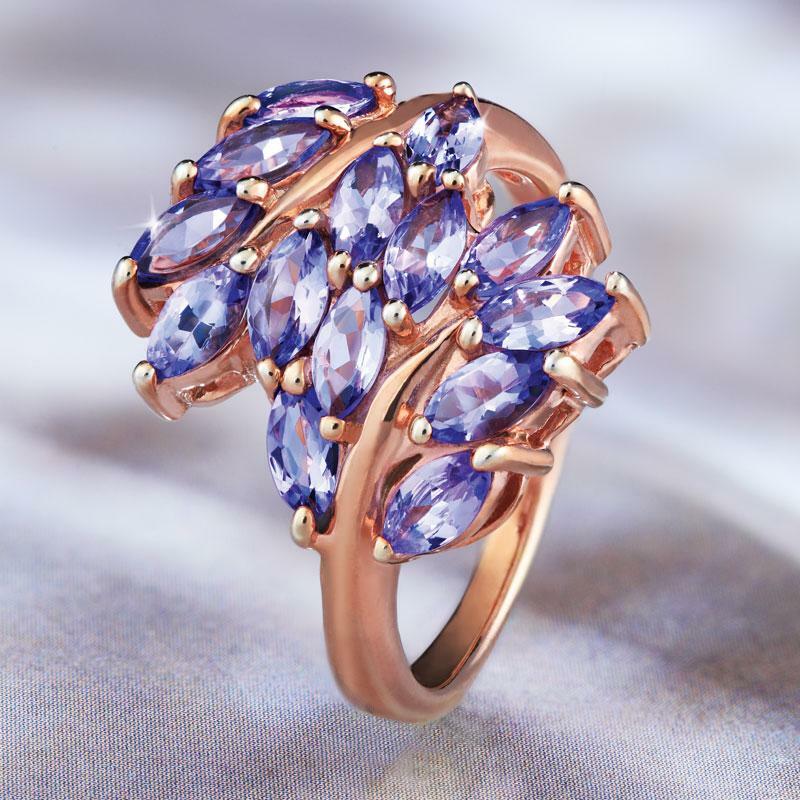 The Bolt of Beauty Tanzanite Ring is a celebration of love that never loses its spark. Fourteen stones of violet blue tanzanite, in a glorious lightning motif, set in a luxurious rose gold-finished sterling silver ring. Just like your love story, tanzanite’s electrifying past owes everything to a strike which came from the heavens. One powerful lightning bolt hit the foothills of Mount Kilimanjaro in 1967, setting the area ablaze and revealing the undiscovered joys of the tanzanite gemstone, which had lain buried just beneath the surface for millennia. The Bolt of Beauty will shock our competitors, who use Tanzanite’s rarity and scarcity to dial up the price. But our goal is to win long-term customers, not make a short-term profit, so we’re making sparks fly with some high-voltage value.